While I’m not some video game hipster that doesn’t enjoy the Triple-A games, I have found myself increasingly having my most compelling game experiences on games created by indie or small studios. I think this is because indie studios are no different from starups, indie bands, and indie film makers in their willingness and ability to explore risky and new ideas. I felt the same way about Braid when I played it in 2009 as I do about Bastion this year. 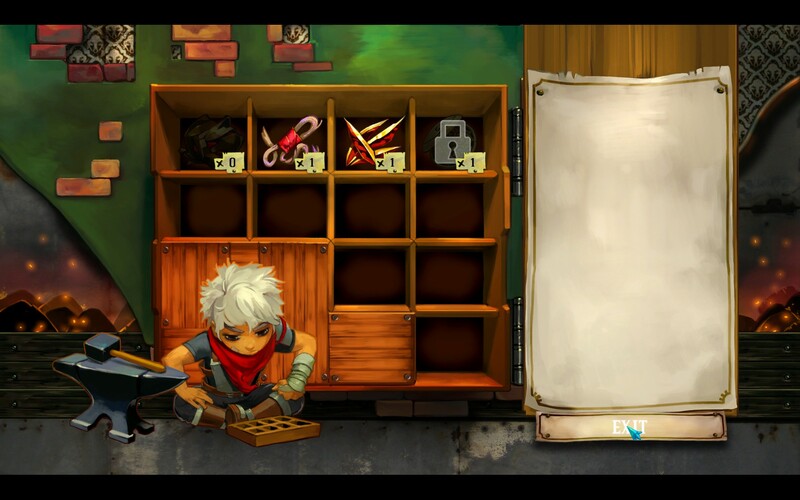 Both Braid and Bastion are games that borrow from old traditions and then marry them with new elements and a powerful story. Braid was taking the humble platformer and giving it an incredible story (as well as new gameplay elements). 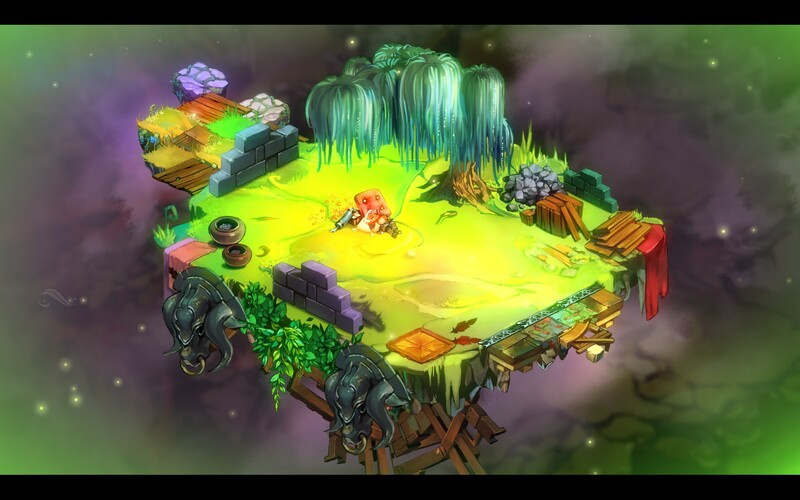 Bastion is an action RPG like Zelda games, but unites with with its own unique gameplay elements and a great story. I think the key difference between Braid and Bastion is that while they both have powerful endings, I feel as though I actually understand what happened at the end of Bastion. Bastion has you take control of The Kid, a silent protagonist (they almost always are in RPGs) who survives The Calamity. 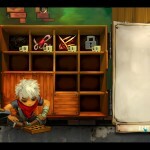 A narrator guides you along in the story as you work your way through the first few levels. The narrator is great on so many levels. They selected someone with the PERFECT voice. And they decide to go with a Western (as in the Wild West) sounding soundtrack and his voice goes along perfectly with that. You almost feel like you’re watching an old school Western with narration. But there’s so much more. When I play a game like Batman: Arkham City (or Arkham Assylum), the joy of the game is BEING Batman. But there are so many things I can do intentionally or unintentionally that break that spell. For the unintentional, there’s falling into water while rappelling along a path. That would NEVER happen to Batman. For the intentional, there’s hitting the barrel roll button as a I run around because it breaks the monotony of getting from point A to point B. But larger than all of that is when the narrative breaks. When a game tells me, Batman – you need to get to point B SOON or you’re going to die! And then lets me run all over Arkham for eternity. To be honest I abhor when games give you a timer because while I have a pretty good sense of direction in the real world, I can’t find my way out of a paper bag in a lot of video games. 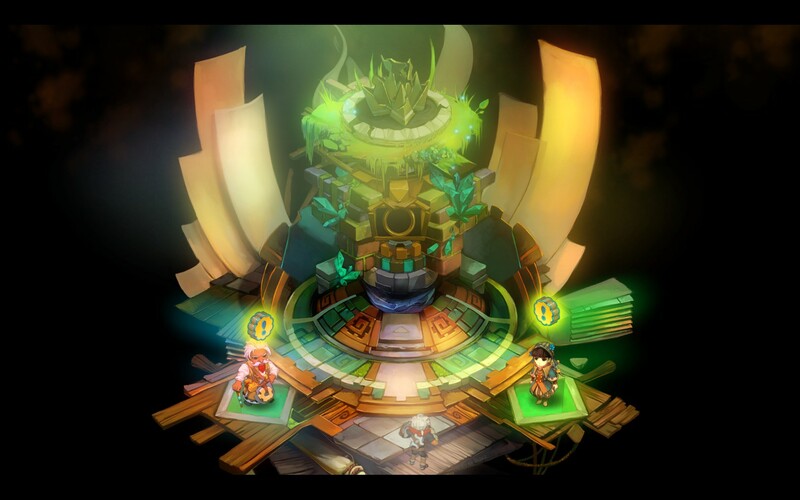 Bastion doesn’t break the narrative because the studio, Supergiant Games, was clever enough to insert a bunch of narrative hooks that seem almost magical. For example, early on in the game, I came to the realization that breaking stuff will give me these little blue things that end up functioning like money in the game. So in one section very early on when all you know is that The Calamity has destroyed your home, I just started breaking everything to find the currency. The narrator said, “The Kid just rages for a while”. I almost jumped out of my seat. And there are little flourishes like that all over the game – places where they took the time to notice if you were going slowly or quickly or favoring one weapon over another. Those little touches make me feel like the events of the game are actually happening and it becomes more engaging than any movie and even more so than most video games that contain narrative. Because story is so important to this game, I don’t want to spoil any of it. I do have to say that I LOVE how the story is communicated and that, again, it doesn’t take you out of the game. For example, the narrator is talking to you, the player, not The Kid so he’s not saying things that don’t make sense within the universe. For example, in Final Fantasy games (and many, many RPGs) people are afflicted with the need to tell you things that characters within that universe should know. And it can be very strange when you get to those points. I’m currently watching Giant Bomb’s Endurance Run of Chrono Trigger and it’s weird to have people tell your character to press X. “What does that mean?! ?” Crono, were he not a silent protagonist, should be screaming in the same way that Jim Carrey’s character in Truman Show does when he realizes his life is fake. Rather for those types of things the game has tooltips that appear rather than having the narrator tell you. Additionally, this is one of those stories where you find out bits about the past and present as you go along, and I felt it just added perfectly to the atmosphere. After all, The Kid doesn’t know what The Calamity is or why it happened. So he learns as we learn. Again, without spoiling the story, eventually, you gain the ability to strongly customize the game. You end up with tons of weapons and you are allowed to equip two at a time within a “level”. Additionally, you’re allowed to “equip” one special skill that has to do with one of those two weapons. So part of the fun of the game is in trying to figure out what weapons work best together as well as which one you’ll need for each level. Of course, to make the game a bit more challenging, on your first play-through you won’t know which weapons you need for the next level you’re going to tackle and you aren’t always given access to an area that allows you to change your load-out. Additionally, you are able to upgrade these weapons. However, each upgrade is a binary choice for which attribute you want the upgrade to give the weapon. Just these two mechanics would ensure that everyone’s going to have a slightly different experience with the game, but it has even more customizations! The game also has you customize your character’s attributes with wines. You can only use one wine slot for each level your character has leveled up. (So 2 wines at level 2, etc) And these give you abilities like “all hits are critical if health is less than 33%” or having more slots for health or special skills. Again, the amounts of wines vs the amount of slots you can have leads to an insane amount of variability in your game experience. 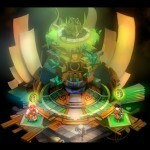 The final customization comes in the form of activating various gods which invoke challenge modes within the game. These can allow you to tailor the game’s difficulty if you find you’re tearing through it at too quick of a pace. You’ll also need to eventually be able to do this if you want to get all the achievements. So we have a game that not only marries a fun action RPG style with a great story, but allows for a pretty complex amount of customization for such a simple and small game. Sounds pretty good just with that, right? But on top of that, this game has an awesome soundtrack. How awesome? I didn’t buy it at first (Steam has a bundle that includes the soundtrack) and as soon as I beat the game I went and bought it. Not only does it have a bunch of great ambient tracks – I think I like about 75% of those, but it has some great vocal tracks as well. They are used to set the perfect moods in the game and are written so as not to sound looped if you take too long in a level. One of the vocal tracks, which comes in during a couple important parts in the game, has been stuck in my head for the past 4 days. When you get to the end of the game, you’re given a choice of what to do. The choices are pretty much the opposites of each other, but I think which one you choose to see first probably tells you a lot about your personality. But don’t despair, completionists! Just like Chrono Trigger, Bastion has a new game plus mode where you start off with all the levels, etc you had at the end of your first game. I’ve always been a fan of new game plus because it allows you do experience the story again (and pick up on hints you missed the first time!) but also allows you to continue to power up your character. And that leads to new gameplay experienences as you might be able to reach areas you couldn’t before. Also, with the tension of not knowing the ending gone, you can enjoy some of the challenge areas you might have previously rushed through. 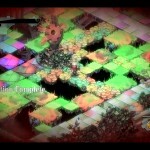 Bastion will not be my most played game of 2012. It took me about 8 hours to beat the game. Depending on how many of the achievements I try to go for in my new game plus playthrough, I might play another 10 hours or so. 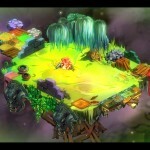 But it is going to be pretty hard for any game I play in 2012 to beat Bastion for the spot of best game I played in 2012. So if you haven’t played it yet – it’s only $15 on Steam. It is WELL WORTH your hard-earned cash. Play it! 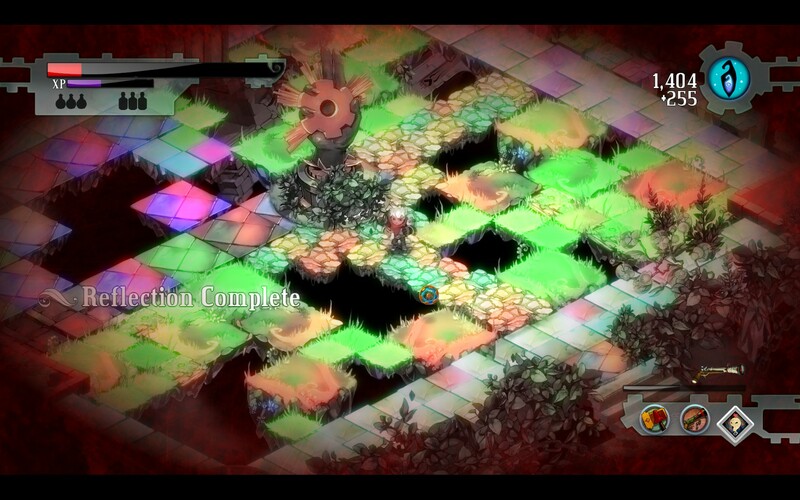 I keep meaning to play Bastion again, but all these other games keep getting in the way. What should I do?